Sign up to download The Real Facts About Debt PDF and get started on your path to financial freedom. Get The Real Facts About Debt. By submitting this form, you are granting BNA Debt Solutions permission to e-mail you. You can revoke permission to e-mail you through the address you provided at any time using the unsubscribe link at the bottom of every e-mail. 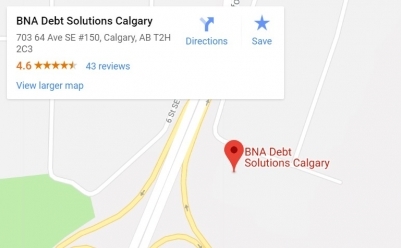 BNA Debt Solutions has one focus: providing the best solution for you and your family. Only a Licensed Insolvency Trustee can legally provide the peace of mind that a Consumer Proposal or Bankruptcy can bring. A consumer proposal is one option that can help you get out from under your financial burden. On average, our clients pay back only 37% of their current debt load. If you’re struggling with tax debt, that can be included in your consumer proposal. Our team will help you find a solution that works best for you and your family. Barry and the staff have been great during the stress of the financial hardship I have experienced. A bankruptcy provides immediate relief from your creditors and wage garnishment. Don’t worry – you won’t lose everything and nobody needs to know you’ve filed. Our team has been helping thousands of people for over 20 years, just like you, to weigh the pros and cons of each possible solution - consumer proposals or filing personal bankruptcy - understand any potential consequences, and we’ve guided them to the right steps to get out of overwhelming financial debt. As a Licensed Insolvency Trustee, we take care of everything for you when you work with us! That means we make all the calls to your creditors, negotiate on your behalf, and work out all the details. You need someone who has your best interest at heart. As a Licensed Insolvency Trustee, your interest is our only interest.